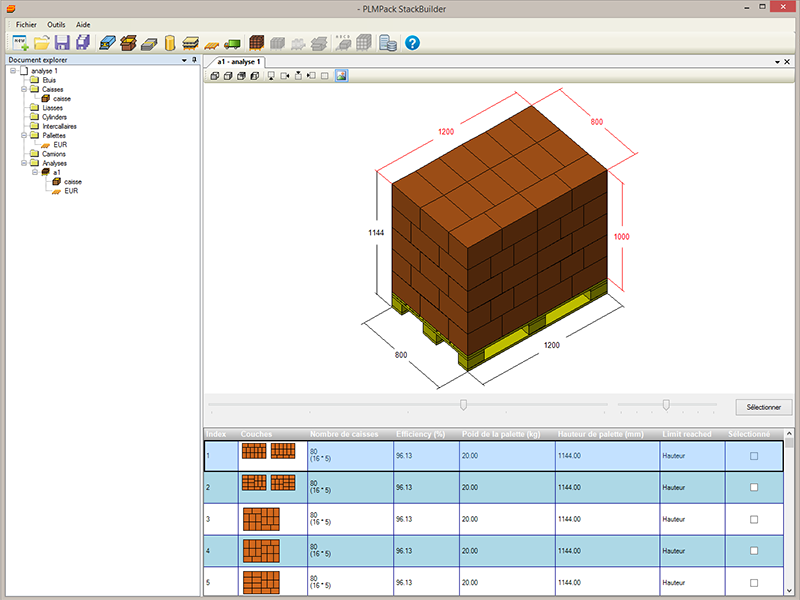 StackBuilder is a software to design and optimize the packing (Articles / case), palletizing (box / pallet) and shipping items (pallets / truck). Free distribution in a demarche of OpenSource software is a simple software tool to learn, allowing you to move forward with a global vision of the supply chain of your packaging. Add interlayers, hat, protection film, angles. For each solutions, it is possible to publish and edit a palletizing report in .doc (Microsoft Office), odt (open office) or html. 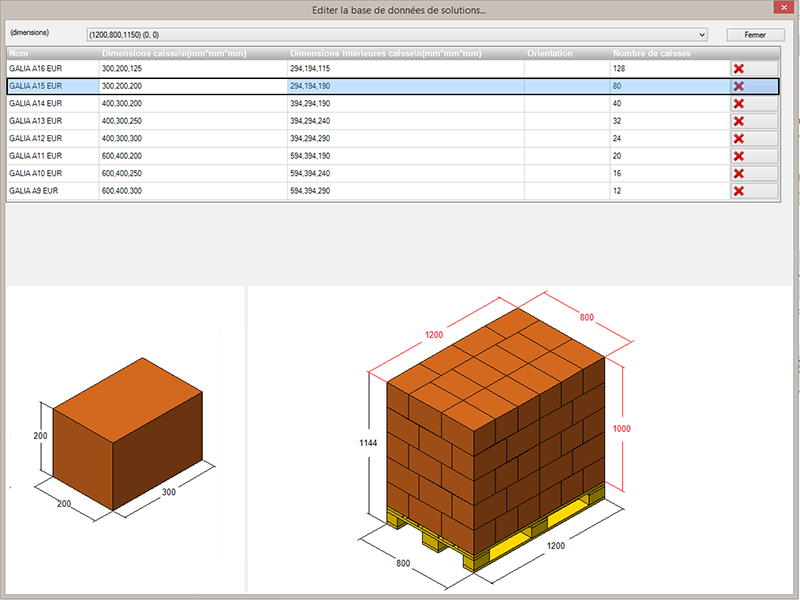 Palletizing solutions can be stored in solutions database, so it can reused, compared with other solutions, or be used to optimize the packing. 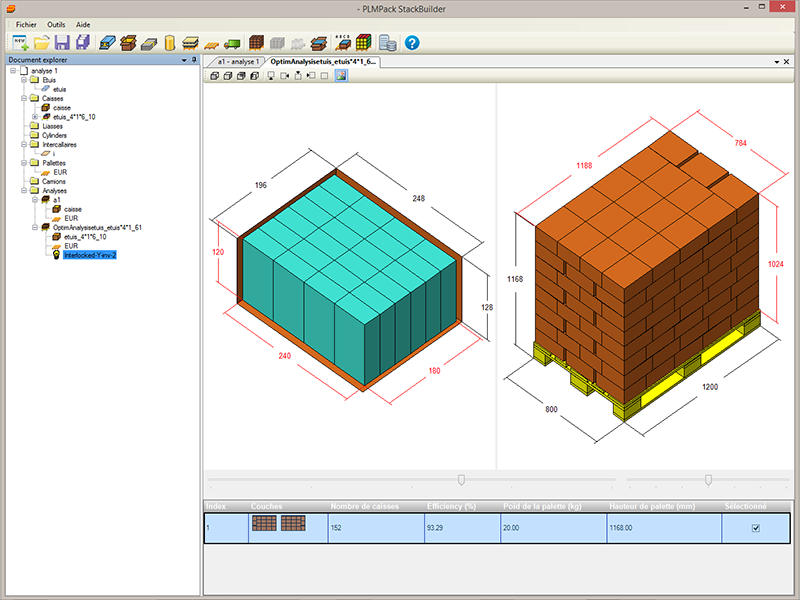 StackBuilder is a fully integrated software in PICADOR ™ and PLM PACK ™ to design packaging systems.